« As condo inventory reaches multi-year highs in Fort Lauderdale, is it really any different this time? 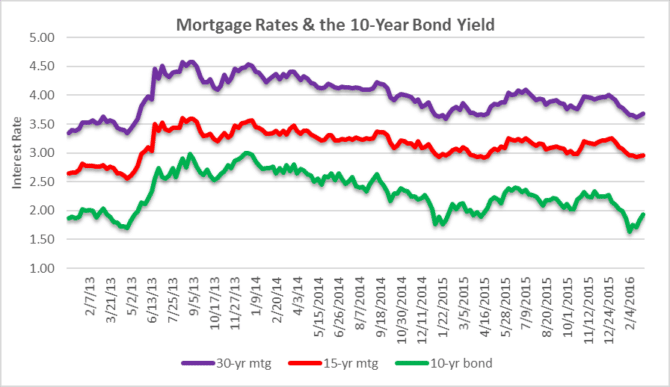 How is transaction volume dropping when mortgage rates are so low? 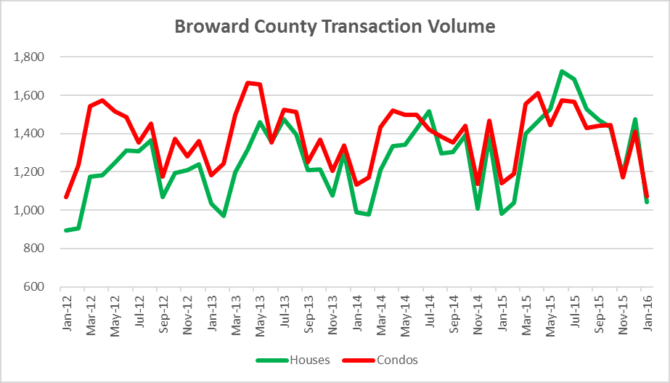 We have been charting the transaction volume throughout South Florida and today we will look at the sale of houses and condo properties in the Greater Fort Lauderdale / Broward County residential real estate market. Our first chart today shows the deal volume slipping in the past few months. The total number of closed sales was 2,117 in the month of January, which represents a drop of 27% from the 2,885 closed sales during the month of December. 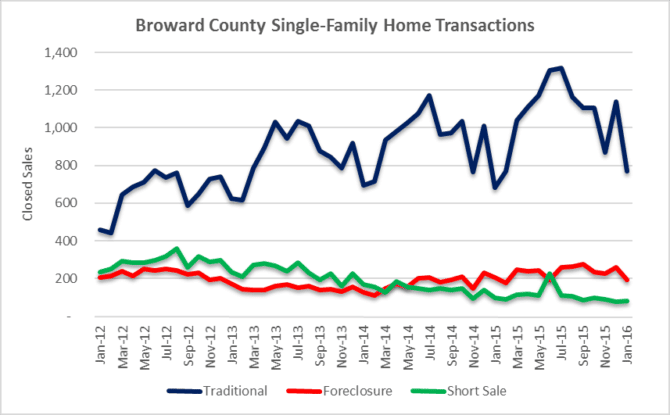 As far as the single-family home sales in Broward County, this next chart illustrates the breakdown by transaction type. The fact that traditional sales appear to be falling off a cliff (down 32% month over month) is not a good indicator. As for the condo sales, it looks like much of the same. Traditional, non-distressed condo sales dropped 24% from December to January. We could understand a drop in transaction volume if rates had spiked, but take a look at this chart of mortgage rates over the past three years. We may see a slight increase during the next week or so due to the bump in the 10-year bond yield, but rates are still abnormally low. Artificially low interest rates typically pull consumption forward while driving asset prices higher. The South Florida real estate market prices have certainly been reflated due to easy money and bailouts since the last crash. It will take a few months into 2016 to determine if the stimulus is finally wearing off and the air comes out of the bubble (again). 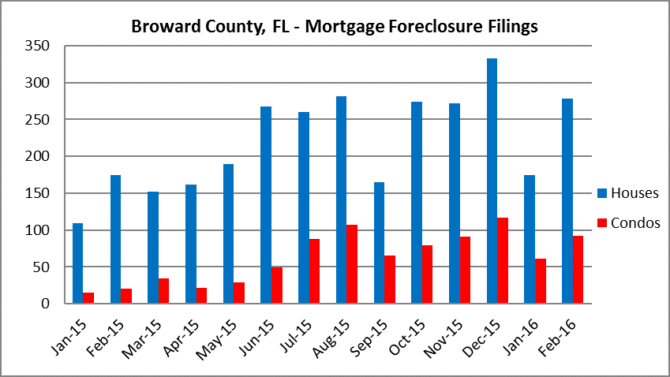 How about the pace of new foreclosure filings? What’s funny is that most people think that we have recovered from the 2008 crisis, when we are actually witnessing waves of new forelcousre filings. Although 2015 was fairly quiet, there are plenty of distressed properties where the lender filed an initial foreclosure 6-8 years ago and are now having to refile. This is another example of the “extend and pretend” economics that have prevented a true recovery in the housing market. Finally, let’s take a quick look at the existing inventory of residential properties on the market. 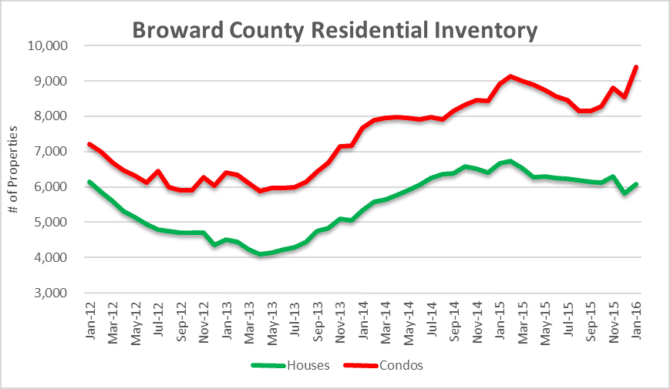 There were 6,086 houses and 9,390 condo properties, for a grand total of 15,476 residential properties listed for sale throughout Broward County in January. Our chart has four years of data and you will notice that inventory levels haven’t reached this point since before the last bubble popped. The single-family home data isn’t bad, but the rising condo inventory could be a problem going forward. The math is rather simple: Rising condo inventory coupled with declining sales volume is a good leading indicator of price declines on the horizon. 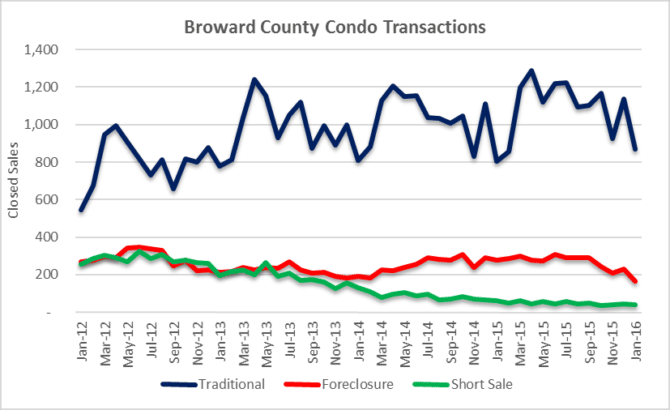 This entry was posted in Foreclosure activity, Market Insight, Mortgage rates, Shadow Inventory, South Florida Real Estate and tagged Florida real estate, Fort Lauderdale condo market, Fort Lauderdale real estate, housing bubble, mortgage rates. Bookmark the permalink. Trackbacks are closed, but you can post a comment.